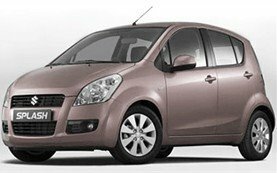 The compact cars, also called small family cars make up for the segment between the small cars and the mid-sized family vehicles. 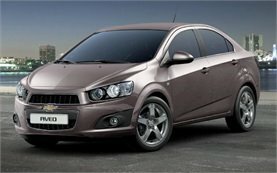 The compact cars have become largely popular in 1990s and many car models from this category have been awarded the best selling vehicle in Bulgaria, Europe and around the world since then. 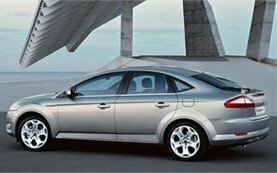 The Focus Hatchback 2nd generation lunched in 2004 becomes top selling vehicle followed by the Astra and the VW Golf celebrating their 5th generation the same year. 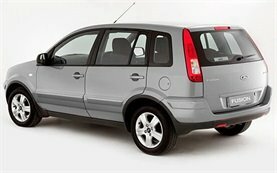 The Renault Megane Hatchback with its stylish new look was UK's most popular new car in 2005. 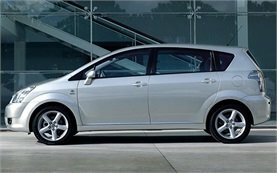 Other car models from the compact class are also largely popular nowadays - Peugeot 307, Honda Civic, Toyota Auris, Citroen C4, and Mazda 3. 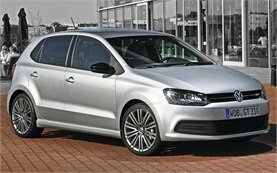 Compact cars have a strong appeal for many car hire travellers as they offer so much for so little. 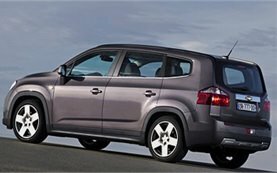 Most of them have a roomy seating for four passengers and can carry a reasonable amount of luggage, but do not cost much more to operate than entry-level subcompacts. 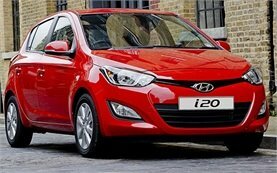 Their long life, fuel efficiency and stylish design have established them as preferred models for many car rental companies. 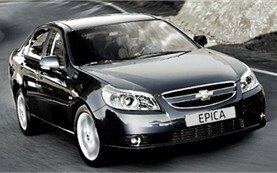 All this makes them a terrific car hire option for travellers in Bulgaria. 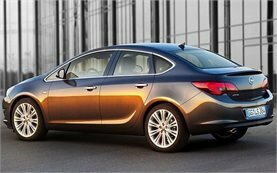 Intermediate class cars offer full-car size comfort and great value for family travelers. 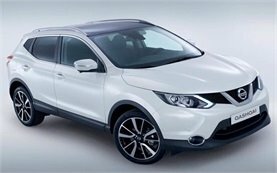 A car from this group offers a roomy luggage compartment and a full-size seat for five passengers. 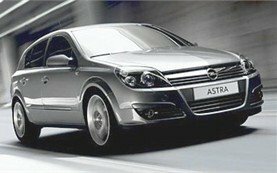 The most popular models in Bulgaria and Europe since year 2000 are Ford Focus sedan or estate, Renault Megane sedan and Scenic, Opel Vectra and Astra wagon, Chevrolet Aveo and Lacetti, Toyota Corolla and Avensis, Peugeot 406 and 307 SW. 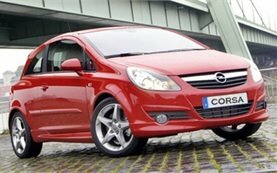 The Intermediate cars has been slightly degrading their popularity in the recent years being replaced by either compact cars with expanded size or by a family minivans like Opel Zafira offering more room and optional seats for larger families. 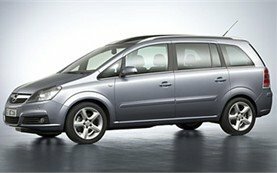 The minivan vehicles became largely popular in the recent years especially after the Compact MPVs (multi functional vehicles) like the Opel Zafira, Renault Grand Scenic, Volkswagen Touran and similar have entered the market and were warmly welcomed in Bulgaria and Europe. 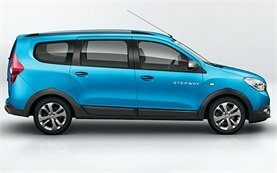 The great mini-van functionality, good fuel economy, and advanced safety features are very appealing to an increasing number of travellers. Able to carry at least seven passengers in multiple seating configurations practically varying the people and cargo space, these people carriers provide all the right conveniences for today's busy lifestyle. Minivans are masters for getting the most interior volume for your money. Most of them are equipped with high tech entertainment systems to transport passengers in comfort on longer trips. In summary, minivans are the embodiment of the suburban family lifestyle. 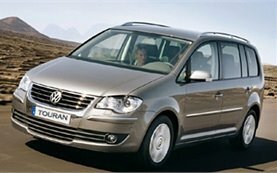 And since transportation of family or a big group of people is their central purpose, minivans place a high priority on offering lots of safety features. 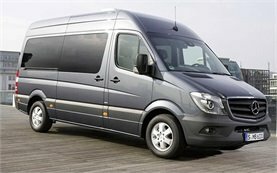 Hiring a van is the most convenient way to accommodate your family on a holiday trip. 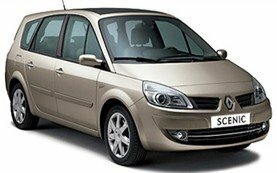 There is no better car hire alternative for travellers with big families. 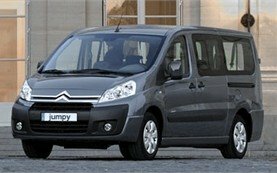 Vans can easily transport over 8 people in comfort and some are with space for up to 15 passengers. Able to carry more than any vehicle, vans have a large role as cargo carriers too. In recent years, van class has fallen into the shadows as an every day vehicle due to the popularity and convenience of minivans and SUVs. 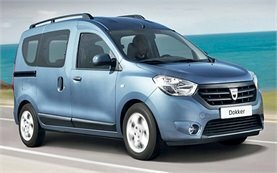 However, the latest van models are quite refined and fuel efficient and offer a good balance between load carrying ability and ease of driving. 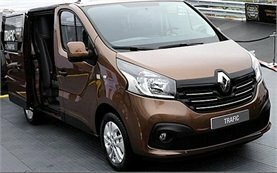 The van category is large and includes different in shape, size, roof height, ot wheelbase vans, the most popular for car hire and transfer services of which are Citroen Jumpy, Mercedes-Benz Vito, Opel Vivaro, Renault Trafic. 4WD (four-wheel drive) or 4x4 (four by four) are vehicles with the technology of four wheels powered and working simultaneously implemented. 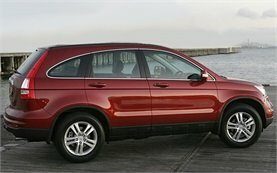 Predominanantly these cars are sport utility vehicles (SUV). The four-wheel drive provides stability on the road and better control of the vehicle especially during winter time and in severe weather conditions. Some back roads and those surrounding the mountain ski resorts in Bulgaria could be challenging in winter conditions and renting a four wheel drive vehicle is a good choice bringing you safety and peace of mind. We offer a wide range of 4WD vehicles for rent suitable for all roads and all weather conditions including ATVs and motorcycles. 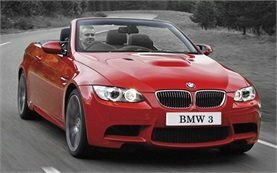 We offer wide range of sport cars - SUVs, convertibles, 4WD, or luxury vehicles, all having one key car hire appeal - their driving performance. 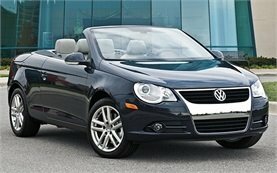 Brand names include Mercedes-Benz, BMW, Mazda, Mitsubishi, Nissan, Opel, Renault and car types may feature compacts, sport sedans, hot hatchbacks and the like, that are generally not sports cars, yet share characteristics common to sports cars, such as precise handling, acceleration, and aesthetics. In today's' diverse automotive world, there is no clear-cut definition of what really is a sport car. However, if a car is designed with high performance or race-like capabilities in mind, it can be safely termed a sports car. 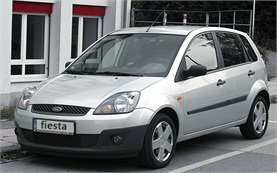 Their essential characteristics - outstanding road handling, maneuverability, braking, low weight, and high power, rather than passenger space and fuel economy, hold very strong appeal among car rent travellers in Europe and particularly in Bulgaria. 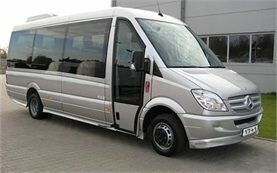 A minibus can take on board up to 33 passengers. 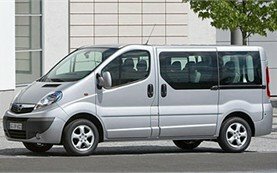 When you need to transport a big group of people in Bulgaria, a minibus is your best car hire option. Hiring one for more than 8 passengers comes conveniently with a driver. 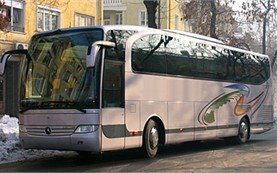 Advantages of a private minibus hire include not only the comfort you will experience on board as our mini-buses are equipped with dual zone air-condition, armrests, TV, adjustable seats, etc., but also the convenience of an individual transportation service during your airport transfer, sightseeing tour, sporting event, or vacation trip in Bulgaria. 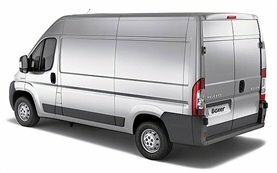 Cargo rental is the cheapest way to transport furniture and staff from point to point. 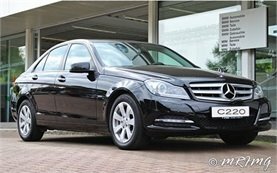 We offer cargo transportation vehicles for rent in Bulgaria which can carry up to 3 tons and 17 cubic meters. 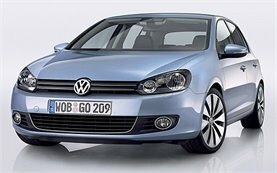 You need a valid driver's license with the proper category from your country of origin in order to hire such a vehicle. 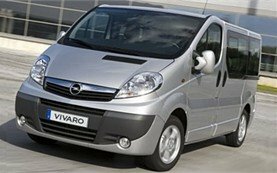 We also offer larger cargo vehicles for rent with a driver hire upon request. 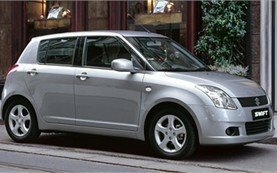 In today's world of fewer boundaries, cross border car hire is one of the most popular options amoung travellers. 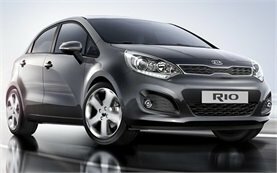 You can choose the easiest and most convenient car rental that suits your cross-border car hire needs.